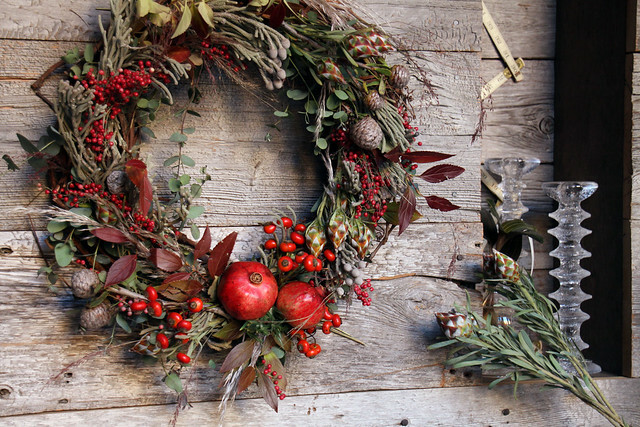 We'll usher in December and holiday spirits with our first wreath making class! 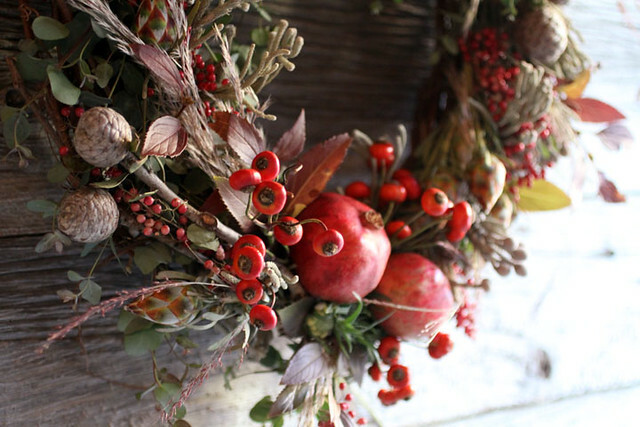 Working with foliage, evergreens, berries and fruits, we'll teach students about materials that dry and hold up well in wreaths. Using a grapevine frame, each participant will create their own festive wreath to take home. Well snack on egg nog and buche du noel! The class will take place at Nicolette's studio at 50-52 Dobbin Street in Greenpoint, Brooklyn.